I just got myself a brand new set of pencils but didn't feel like dumping them in my pencil case with the rest of my stationary. When I was browsing pinterest the other day I came across this amazing tutorial which inspired me to make this and would fix my problem. For those of you who aren't avid crocheters that tutorial from small + friendly is perfect for you. But for those of you who dare to crochet follow my spin on the pencil roll. My grandmother taught me to crochet a couple of years ago and ever since I keep having phases of being obsessed with the craft. I am currently going through one of those phases. 1. Chain 42 and then double stitch 2 rows (here is a tutorial on how to double stitch). 2. On the third row chain instead of doing a double stitch every 2 stitches. 3. Crochet 2 more rows of double stitch then repeat step 2. 4. Double stitch 5 more rows then repeat step 2. Double stitch 2 more rows and repeat step 2 again. Finally Double stitch 2 rows and finish. 5. Tie a knot at the end of the leather cord. 6. Put it through the side and knot at the other end too. Put your pencils in and roll up. Have fun crocheting! 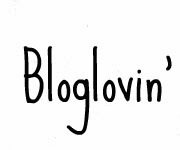 HOW COOL :D You are sutch a great blogger! This is fantastic... nice work!! This is so pretty and original! 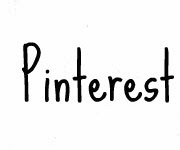 I´d love to know where you get your amazing ideas, you always has the perfect diy to share! That is very clever and useful! Very nice idea!!! It's always nice when you use your fingers! this is super interesting! I'm truly awful at DIY's but I can always try! Wonderful DIY :D Definitely would be grat to use at my work! that's so clever! i've never been able to knit/crochet/or anything like that so idk if i could pull this one off though! very nice, this is why I like your blog, you always come upwith new things! Brilliant! I love this! Thanks so much for linking inspiration, it is much appreciated!